Annabel Kern Music Boxes for baby... yes, music boxes! Annabel Kern Music Boxes for baby… yes, music boxes! If you think of a ballerina or a Jack-in-the-Box when you think of a music box then this fun and fabulous collection from French designer, Annabel Kern, may throw you for six. The ‘Grocery Music Box’ range from Annabel Kern is a collection of three functional toys that work equally well as a soother or decoration. 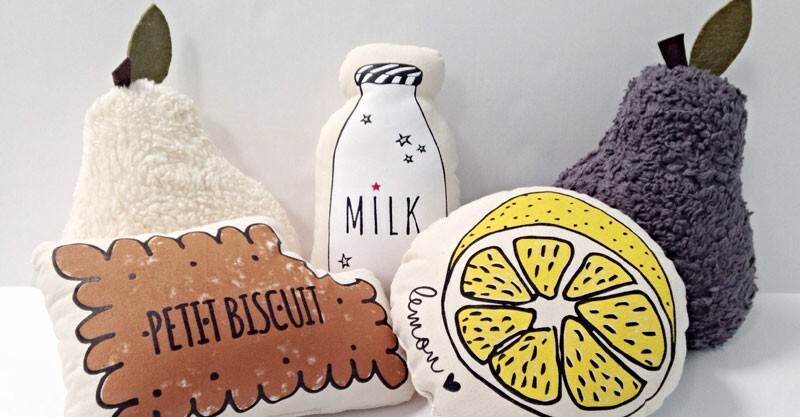 Finding inspiration from the busy and colourful local markets that she frequents in France, Annabel Kern’s grocery theme of a biscuit, milk bottle and lemon adds a playful pop of colour and personality to any room. Pull the string on the milk bottle and Daft Punk’s ‘Get Lucky’ melody begins to play, while the biscuit and lemon both play a calming version of the ‘amélie poulain’ soundtrack to help sooth and entertain your child. Made from 100 per cent cotton canvas and filled with hypoallergenic polyester padding, these decorative cushions slash music boxes can be hand washed and measure approximately 30cm in height. Find these conversation-starting music boxes through Leo & Bella, an amazing online Aussie retailer of carefully handpicked products with original and unique design. They are priced at $84 and ship locally and internationally. 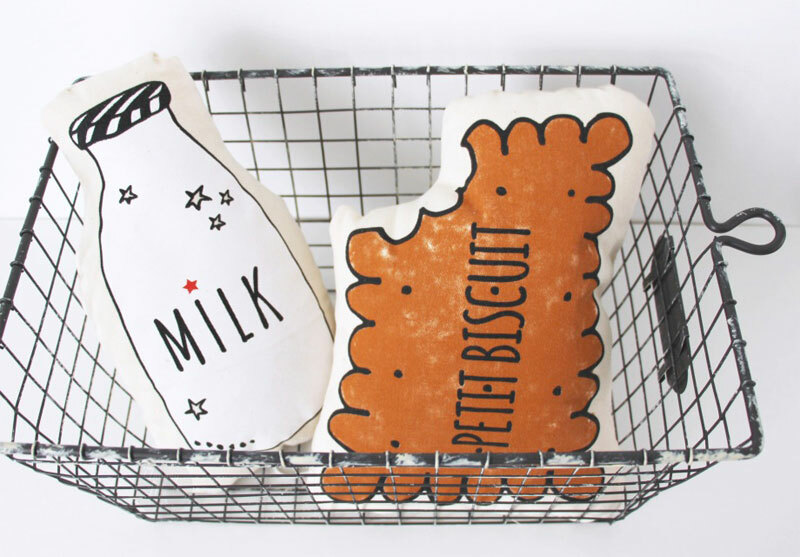 Annabel Kern’s Grocery Music Box range could be just the design statement you are looking for in your child’s room.